Michael’s dad started raising these hearty hybrid cattle when he was 8 years-old, and Michael followed in his footsteps when he got out of high school and started his own herd. But for the positive traits that the tigerstripes offer like heat tolerance and longevity in the herd, they are hard to get bred and keep bred, and Michael wanted more calves. That is why he made the switch to a VitaFerm® mineral. He said the three open F1s were all heifers, and he held those over and will try to breed them this spring, just in case they weren’t as mature reproductively as the rest of the herd. He said having a 95% conception rate on cattle with Brahman influence is great, and they all stayed bred. 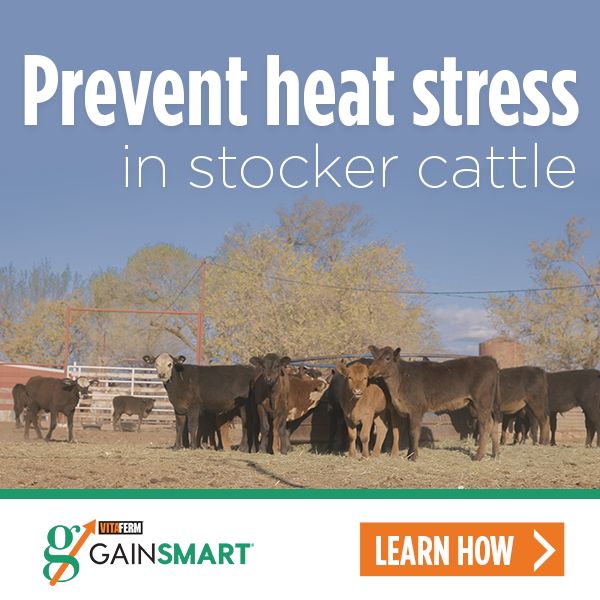 One of the challenges he has faced is cows losing calves in early gestation due to stress. Michael said his brother also has his own herd of tigestripes and chose to feed VitaFerm this past breeding season. His brother had a 90% conception rate on 110 head, and is also very excited with his results. Both men say they will continue using the product in the future. While trying to build his herd, he does keep 25-35 replacement heifers each year, but he said the market for them in the south and southeast is also terrific – another reason he wanted to increase his conception rates and get more calves to sell. “It was pretty exciting, and I’m going to use the VitaFerm again this year,” Michael said. The key ingredient in VitaFerm products is Amaferm®, a natural prebiotic designed to maximize the nutritional value of feed. It is research-proven to increase the energy available to the animal resulting in more milk production as well as to the ability to initiate and maintain pregnancy and fertility. Research has shown the Amaferm increases intake and digestibility while improving absorption. It is hard to take a new path from our parents, but sometimes change is necessary. Michael said he’ll do whatever is necessary to keep his conception rates up, even if that means being the rebellious son.